High school football games in Kanawha County recently included an additional feature: financial aid. 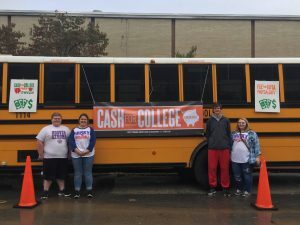 Schools hosted “FAFSA Friday” events on Kanawha County Schools’ wifi-enabled buses just before football games kicked off in order to assist families with learning about financial aid opportunities available to help pay for a postsecondary education. During the events, which were hosted by the College Foundation of West Virginia (CFWV) and Kanawha County Schools, financial aid experts were available to answer questions about financial aid and to help families complete the Free Application for Federal Student Aid (FAFSA), the first step in receiving financial aid for college. More than one hundred students and parents received help during the events. Kim Parsons, the counselor at Herbert Hoover High School, said hosting a FAFSA event just before the football game was beneficial to families. “I think some of the people who stopped by and spoke to us at the event are people who may not have come to the school to ask questions or seek help. But since we were there, it was easier access for them,” she said. Mike Reed from South Charleston High School said the events increased families’ awareness about the importance of completing a FAFSA no matter what form of postsecondary education a student plans to pursue. “[The events] made more parents aware of the opportunities for the use of financial aid in such things as vocational school and community colleges,” he said. 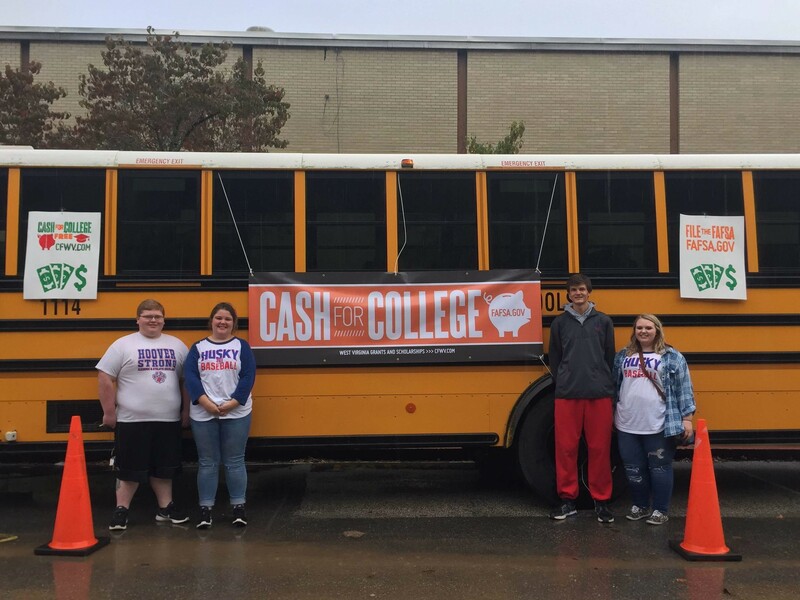 In December, CFWV announced a goal to increase the number of 12th graders who complete a FAFSA by April 15 to 60 percent. Last year, only half of the public high schools in Kanawha County met or exceeded that goal. A list of schools that met or exceeded the 60 percent FAFSA completion goal last year can be found here. FAFSA Friday events were made possible by a grant administered by the West Virginia Higher Education Policy Commission with funds from the National College Access Network and the Kresge Foundation.